Later this morning, I’m speaking to the regional Association of Fundraising Professionals. Of course, the topic is Social Media. This entry will grow after the program. I’ll add information I consider relevant to the questions they have during and after. 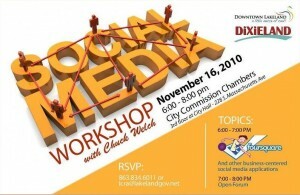 You can follow me on Twitter @chuckwelch or email me any questions AFP@chuckwelch.com.